Caitlin and Luke Photography- Simply Amazing. Our entire experience with Caitlin and Luke from start to finish was more than anything we could have asked for. Once we met with C+L over video chat for the first time we were completely in! First and foremost, they are just the nicest people. We felt so welcomed around them! We loved their pictures and we got along great, so we booked them immediately. They were the first vendor we selected for our wedding because it was such a no-brainer to us. Throughout our planning process, Caitlin and Luke were extremely professional yet very friendly and easy-going. They were also very responsive! There was NEVER a moment where we were in the dark about something regarding our photos, scheduling, or anything logistic with them. 1. Our beautiful photos. They captured our day so perfectly. Having them around on our wedding day was not only perfect documentation to the style we wanted, but it made our day BETTER. We literally had more fun with them there (which also makes the images better too). 2. A lifelong relationship. We shared such an important day with them, and they were with us every step along the way. Even after the wedding, we still keep in touch with them and have already grabbed lunch with them. This isn't anything prearranged, it's just something we genuinely wanted to do. We gained lifelong friends. 3. Education. Throughout our process, we learned SO much from them. On our wedding day, we felt like posing professionals! There was such great teamwork and collaboration happening. 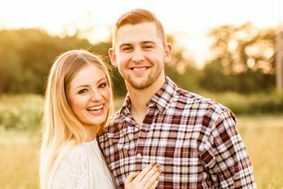 Now, when we speak to couples going through the wedding process, we almost feel like experts because we learned so much from Caitlin and Luke. They are genuinely engaged in their process and craft and do so while being great, joyful people. I cannot emphasize this enough-- Caitlin and Luke are simply great at what they do AND it makes everyone around them better. That is an intangible that goes far beyond creating beautiful images. It was the "it" factor that we will be forever grateful for. Thank you, Caitlin and Luke. Caitlin and Luke feel like friends, not just your photographers. From the minute I met them in Starbucks, I knew they were right for our wedding experience. And I say experience because it’s not just the wedding day. Throughout the duration of our engagement photos they made us feel so authentically ourselves and comfortable, throughout the wedding process they asked if we needed help and offered advice outside the realms of what they were being paid for, and they will be as excited for your wedding day as you are (if not more, how is that possible??!). I can’t imagine choosing anyone else to document our wedding day - they care so much about you and your spouse, and want it to be the most perfect day possible. They go above and beyond. If you need help putting on your necklace, Caitlin is there to help. If you hate a flower in your bouquet, Caitlin knows you’re freaking out and will help pluck every bad flower out to make your bouquet perfect. If the guys need a humor break, Luke is on it with his boombox and sense of humor. Don’t feel like you’ll be comfortable in front of the camera like us? You’ll never know you were even in a photo shoot because they use their charm, wit, and kindness to make you feel like you’re the most beautiful couple they’ve ever photographed. I CANNOT recommend Caitlin and Luke more, of you choose them for your photography and videography needs you will not regret it. You’ll not only gain a wonderful vendor, but you’ll gain two beautiful friends. They made our wedding experience the best it could be and we treasure their time and consideration. Thank you, Caitlin and Luke, for the wonderful memories we get to look back on for forever. Oh my gosh Mallory- this made our entire day, truly!!! I will never forget helping you take those flowers out of your bouquet! ;) You guys have been a gift to us from day one! Much love from Luke and I, and thank you again!! Xoxo! Caitlin & Luke were my first booking for the wedding. I knew how badly I wanted good photographers and looked around at all the options in the area and fell in love with their style of photography. All of their pictures looked so natural and not forced light or forced poises. As if this was not enough to want to book them, you then talk to this sweet couple. They are truly the most genuine and nicest people to work with. Caitlin makes you feel like one of her close friends from the get go, and Luke just makes you just feel comfortable. 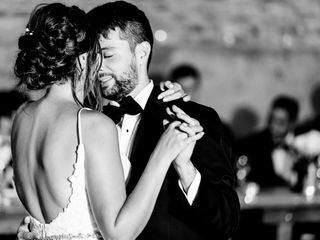 They help you plan for each aspect of photos and offer advice and a community for recommendations with all of the stages of your wedding and life as a married couple. My husband also isn't a huge picture guy so Luke was great at making him feel comfortable with taking photos and not awkward with engagement pictures which made him that much more comfortable with pictures for the wedding. Then there is the pictures---they are truly AMAZING. We absolutely loved each and every one they took and had such a hard time choosing what we wanted for Save the Dates and Wedding Albums and Canvases. They also are so efficient and get your photos to you so quickly. Working with them is just not something you will regret. They are worth every penny and we are so grateful to have them as new friends from this process and the amazing memories from the photos they created. Oh my gosh, Maddie, you are just the sweetest. Thank you SO much for your kind words- they mean so so much to us!! We LOVED working with you and Adam... thank you for making OUR experience with you guys nothing short of amazing!! Xoxo!! Caitlin and Luke are amazing photographers and truly wonderful people to work with. Caitlin and Luke were recommended to us by our friends who had used them for their anniversary photo shoot. When we first reached out to Caitlin and Luke to enquire for our wedding we knew right away that we wanted them as our wedding photographers. They are extremely quick in responding to emails and are so helpful throughout the entire wedding process. They helped us pick the perfect picture locations, offered advice on engagement photo outfits, worked on wedding day timeline and so much more. Caitlin and Luke made us feel extremely comfortable taking photos and were amazing at providing direction and different poses. Throughout our wedding day Caitlin and Luke made sure the day was going smoothly and that we were having a great time. We were even given sneak peeks of our amazing wedding photos at our reception! We have received so many sweet compliments form our guest about Caitlin and Luke and our wedding pictures are absolutely beautiful. Working with Caitlin and Luke made this whole process fun and exciting. Caitlin and Luke are two of the most genuine and kind people and are extremely talented photographers. You guys!! You are just the sweetest of all time! Thank you SO much! We adored working with you guys and were so honored to be a part of your day! XOXO!! My husband, Kyle, and I LOVED working with Caitlin and Luke! They are such an amazing photography husband and wife team, who are always willing to help out with any part of your wedding day that you might need! Not only did they take beautiful photos, they were there for us throughout our entire wedding planning process and were always willing to lend a helping hand when they could! 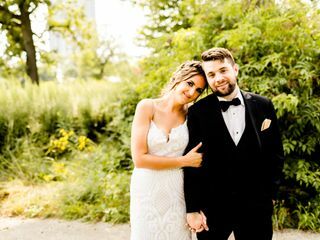 We feel so incredibly lucky to have had them be apart of our special day and would recommend them to anyone who is in need of a wedding photographer! Aw, Jennifer!! Wow!! Thank you SO much for your sweet words! Your review means the world to us! We appreciate you guys so much and loved your beautiful day! XO!! Kellie, you and Alex are just the sweetest! Thank you so much for your kind words!! Forever thankful we got to be a part of your day! Xoxo!! Caitlin and Luke were one of the best decisions we made for our wedding day! We were drawn to their work for the bold color, ability to show personality in their photos, and the beautiful portraits we saw in their portfolios. Caitlin was always very quick to respond to messages and helped me with anything I could've asked for including nailing down a tricky timeline. They were so flexible the day of and knew exactly what they were doing. We are truly grateful for their upbeat and understanding nature. It is clear that Caitlin and Luke are a dream team and truly so talented and dedicated to their jobs. The amount of knockout wedding portraits that we have from our wedding day is unbelievable. We have gotten many compliments on our wedding photos and are so proud to share them with family and friends. Caitlin and Luke gave us one of the best gifts which is a irreplaceable keepsake from our wedding day. 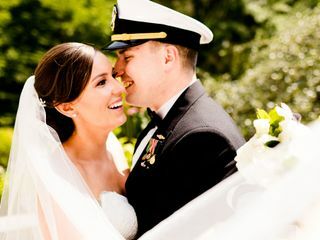 We are truly grateful we came across them in our wedding vendor search! Aw, Sarah!! Thank you SO much for your kind words! We absolutely loved your beautiful day! All the best to you and Josh! Xoxo!! Not only do Caitlin and Luke’s photos exemplify pure joy, they themselves are an absolute joy to work with. For my husband and I, we knew we wanted a husband and wife team that was truly passionate about their work but most of all, passionate about their own marriage. Their work clearly shows how much they care for their couples and the amount of time and effort they pour into their business. Throughout the entire planning process, they were constantly checking in and always asking if you needed help with anything (and by anything, I mean ANYTHING). Words cannot describe how much we recommend Caitlin and Luke for your wedding day. They are so much more than photographers, they become your friends. Aw, Emma! We LOVED getting to be a part of your beautiful day!! Thank you so much for your sweet words! We adore you two! Xoxo!! Caitlin and Luke are THE best photographers to work with! My husband and I started planning our wedding in 2016 so we have gotten to know Caitlin and Luke over a period of time on a professional and personal level. From the first meeting with them all the way to our reception, Caitlin and Luke pour their hearts into making sure it is the best experience possible! It is so easy to tell they love what they do! They captured so many detailed moments that we will be able to cherish forever. Aside from photography, they are a great resource when it comes to wedding planning! And I can't leave out the love they have for animals! We were beyond excited to be able to capture some photos with our Sophie during our engagement session and even at our reception! We look forward to working with Caitlin and Luke again in the future! Aw, Ashley! Wow! You guys are just the sweetest ever! Thank you SO much for your kind words! We loved being a part of your beautiful day! Xoxo!! My husband and I by chance (and a bit of luck) won Caitlin and Luke's engagement session give-away and you could say the rest is history. It isn't every day that you get married and it sure isn't every day that you find a wedding photographer(s) that you come to love and hold very dear in your heart! I can not tell you how many times I messaged/text Caitlin freaking out about wedding details that more times than not had nothing to do with our photos. She was so sweet and so willing to help in every way she could!! That morning she saved the day with extra bobby pins and her warm hugs when I could not for the life of me stop happy crying! Not to mention our photos from that day are BEAUTIFUL!! Luke and Caitlin capture every moment in the most perfect way. My husband and I can not pick just one or two of our favorites we have so so many!! Caitlin and Luke are not only are amazing photographers but they are amazing people. Claire- thank you SO much for your kind words, friend!! You guys are just the best, and we adored every moment of your beautiful day! Thank you for being the best!!! Xoxo!! As my Mom and I were looking for my wedding dress, she had mentioned a well-respected married couple that specializes in wedding photography. That exact day, I not only found my wedding dress, but I was also in awe of the photographs that were displayed around the bridal shop. I pointed out the name located on the pictures, hoping my Mom would confirm that Caitlin and Luke were the married couple she had heard about. THE STARS COULD HAVE NOT ALIGNED BETTER! To be honest, I am not the most “girly girl”. Make up, cute outfits, accessories, dresses, and flowers (you know, everything a photographer dreams of) were rather overwhelming to me. Caitlin (and Luke, too!) could not have been more understanding, patient, knowledgeable and comforting for me during all of our photo-shoots. 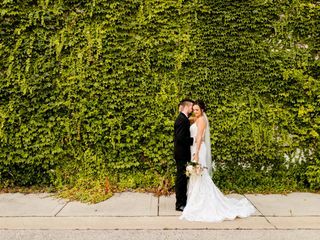 Caitlin and Luke not only know how to make a tomboy look and feel beautiful, but they also know how to prioritize, organize and give recommendations for your big day. One thing that stands out to me is the extra effort they put in when creating your own personal timeline for your big day. THIS IS NOT THEIR FIRST RODEO. Even when our timeline did not go as planned, Caitlin was reassuring and actually GAINED us extra time because of her expertise. Future brides: whether you’re a girly-girl, tomboy or somewhere in-between, Caitlin and Luke will make you feel so comfortable and take many weights off of your shoulders during your big day. They even let our little guy capture some photos! Caitlin and Luke, we could not have been more blessed to work with the both of you. Thank you!! Rachel- WOW. Girl, this made our entire week. What a sweet, sweet review. We are so thankful we got to work with you guys, and we are thrilled that you had such a great experience!! You guys mean the world to us, and we LOVED your day. All the best from both of us, and thank you again! Xoxo!!! When my husband and I first started wedding planning, our first thought was we wanted a fun, sweet, professional wedding photographer. We both always just felt "ok" in front of the camera but when we met Caitlin and Luke our worries were gone. Caitlin and Luke are the sweetest souls you will ever meet. We not only got one but two wedding photographers that were sweet, fun, and professional. 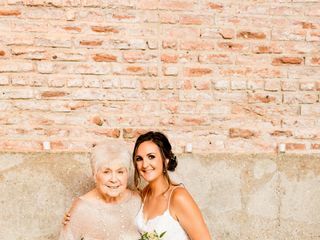 They are quick on answering emails, they will work with you on making your wedding timeline perfect, and most important - they make you feel so comfortable in front of the camera. Our pictures are stunning and we absolutely adore all of them! The best part of the whole experience with Caitlin and Luke is that we walked away as friends. They are so down to earth, and have the kindest hearts. 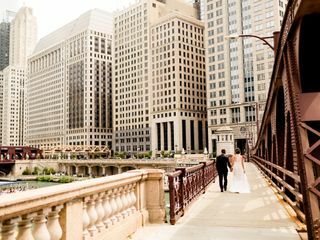 The quality of their work is unbelievable from getting fun sneak peeks, or your whole entire wedding gallery just two weeks after your wedding. If you are looking for fun, sweet, flexible, professional wedding photographers - Caitlin and Luke should be considered for you! Aw, Jen! Gosh this was the sweetest review ever!! Thank you SO much for your sweet words, girl! We loved your day! Xoxo!! Aw, Ashley! Thank you so much for your sweet words!! We adored every second of your sweet day and will forever be thankful we got to be a part of it!! So much love! Xo!! A couple months after getting engaged, a friend recommended we enter a contest being held by Caitlin and Luke for a free engagement session, and we won a mini session! 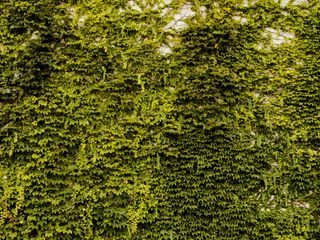 Caitlin and Luke were super flexible with scheduling and made the engagement session easy and fun. We were so thrilled with how many great photos they took in such a short time, we decided to book them for our wedding. They are so organized and had everything ready to go for our big day, as well as a beautiful print out of the days events for everyone to have on their phone! We were so impressed by Caitlin and Luke, they're professionals and even bared nine degree weather to get the most beautiful shots! Our photos are stunning and our video is a work of art! We're so thankful we found them and would chose them all over again! Caitlin and Luke are not only great photographers, but great people! Ryan and I wanted younger photographers along with 2 people; we got lucky having photographers who are a COUPLE! They were so quick in their replies whether it was via e-mail, text message or phone call, which definitely made everything a lot easier! They were always so polite and would be there in a matter of a second if we needed something (whether it was someone to vent to, or run and grab something during the wedding!). Their promptness was wonderful; they arrived on time to everything, and if they were going to be late they gave you a warning. The quality of their work is unbelievable!! Whether it was a sneak peak only a few hours after their coverage ended or ONLY 2 weeks to get your entire photo gallery is beyond amazing. If there is anyone looking for photographers who are younger age, a couple, flexible, and most importantly become your friends Caitlin and Luke are definitely ones to consider, you won't be disappointed!! Aw, Jess! Thank you SO much! We loved your sweet day so much and we are so happy for you two! Xoxo! Choosing a wedding photographer can be an overwhelming experience, but choosing Caitlin & Luke was one of the best choices we could have made for our wedding. The whole process with them was amazing and we are so thankful for them. They are kind & geniuine people who care about their customers and the quality of their product. They are quick to respond and are so helpful and knowledgeable. We had a large preview of our wedding photos while on our honeymoon, and had ALL of the photos back within two weeks from the wedding. All of the pictures were stunning. They did an amazing job for both our engagement photos and wedding. We are so happy we chose them and would highly recommend! Aw, Chloe!! Thank you SO much for this, girl! We loved working with you and Zach and feel so honored to have been your photographers. :) Xoxo!! Caitlin and Luke did a wonderful job as our photographers! We cannot say enough nice things about them! My husband and I live out of state and only come back to Illinois for short visits. We planned the majority of our wedding from afar while also working. Caitlin and Luke would always immediately respond to our calls and emails. Their reliability alleviated a lot of the stress of wedding planning. Caitlin and Luke were also great at helping us establish a photography timeline for the wedding. We planned to take our photographs outside on the ISU Quad and had everything planned to the minute. On our wedding day, it started raining an hour before our photos were scheduled. Caitlin and Luke remained calm, confidant, and professional and found a great covered spot at the venue for our photos. They even kept track of the weather and snuck my husband and I outside the venue when the rain let up for 5 minutes. We have a wonderful range of photos because of their awareness. Caitlin and Luke are reliable, professional, and their expertise shows in their photographs. We wholeheartedly recommend them! Aw, Kerstin! Thank you SO much for your kind words!! We absolutely LOVED your beautiful wedding day and are so thankful for you and Kyle. Xoxo!! Caitlin and Luke were amazing! They were referred by a friend and I am so pleased. We chose to do an engagement session and this allowed us to get to know Caitlin and Luke, feeling more comfortable on our wedding day. Then the weeks leading up to our wedding, they helped us come up with a detailed timeline to help our wedding day flow without a flaw!! Communications were mostly done through email and they were always quick to respond and very helpful with my questions. Caitlin and Luke have become part of the family and we appreciate their professionalism. Every moment on our wedding day was captured and we were astounded by the final product. Every photo was stunning and so hard to choose from because they were all perfect. Selecting Caitlin and Luke was one of the best decisions on our wedding day!! Aw, Brittany! Oh my goodness. We absolutely LOVED your day! You and Danny are phenomenal and we appreciate your kind words more than you could know! Xoxo and congrats again!! We hired Caitlin and Luke for our wedding this fall, and their packages include an engagement session as well. Both the engagement photos and wedding photos were absolutely gorgeous! We have gotten so many compliments of them. Caitlin and Luke were always quick to respond, had amazing insight to what they have seen work well and what doesn't work well, and were overall an absolute joy to work with. We plan to book an anniversary session with them for next fall. I would recommend them over and over again. Jessica! Wow, girl- thank you SO much for this!! This means so much to us! We loved your sweet day! Xoxo! We could not be any HAPPIER with the photos Caitlin and Luke have done for our wedding day, and we've only seen the blog post! They could not be more sweet, professional, and knowledgable--they konw how to click their cameras at the most sentimental moments! Aw, thank you Kaylen!! Thank you so much for sharing- it truly means the world!! Xoxo! Not only are these two amazing photographers, but amazing people in general! The instant we meant them we felt a connection! Caitlin was so quick at responding and trying different ideas, keeping family/bridal parties in line to power thru pics and SO FAST at getting images/sneak peeks back! We couldn't be happier that we chose this beautiful couple to photograph our big day! We can't thank you guys enough!! Aw, Devyn!! Girl thank you so much for this- this truly means the world to us and we LOVED being a part of your day! Xoxo! Aw, Maddy! Thank you so much for sharing this!! We loved your sweet day! Xoxo! We loved having Caitlin and Luke as our engagement and wedding photographers! They did a great job at knowing how to have you pose, which is great for someone like me who would not consider themselves photogenic. They were able to use the time we had extremely well and efficiently, and it was obvious that they knew what they were doing. It's nice to know that with everything that comes with planning a wedding, you don't have to spend time worrying about the photographers. They prepared us with all the information we needed, they checked up on us frequently, and made sure we got everything we wanted from them. The pictures turned out absolutely gorgeous! We made the best choice having them as our photographers.